Ships today if you order in the next 5 hours 52 minutes. 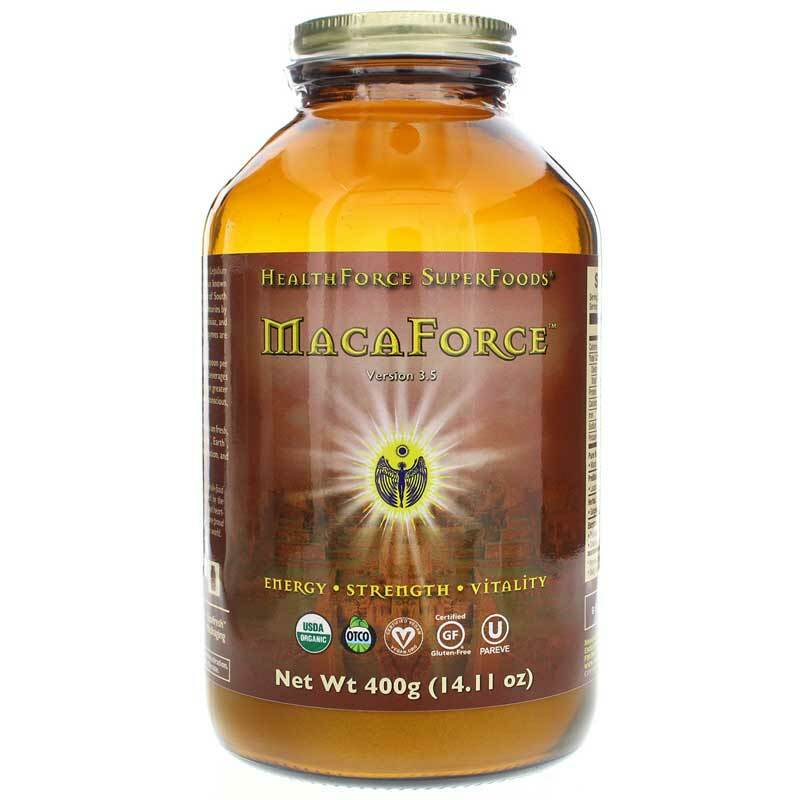 Get a truly nourishing source of energizing maca plus all of the nutrients Mother Nature intended with MacaForce Lucuma Spice from HealthForce Nutritionals. This one-of-a-kind powdered maca supplement provides an amazing 5,025 mg of pure maca per serving, along with herbal and enzyme synergists, prebiotics and probiotics, and natural energetics to give you remarkably energizing and nourishing support. An adaptogenic root from Peru, maca is famous among indigenous peoples for its support of longevity, endurance and fertility and hormone balance. 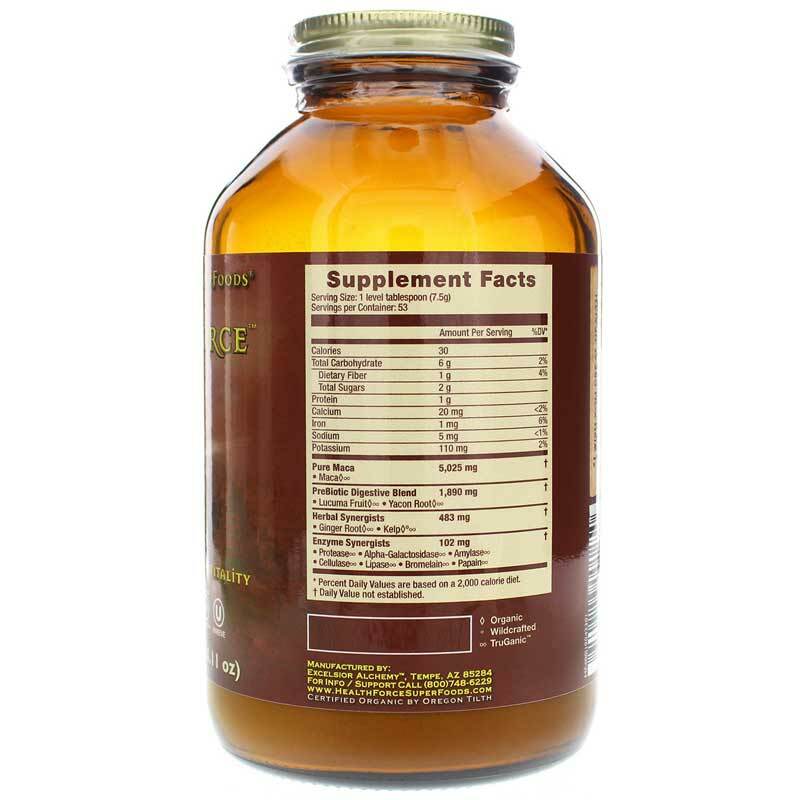 HealthForce Nutritionals uses the whole maca root along with specially selected nutrients and supportive compounds. 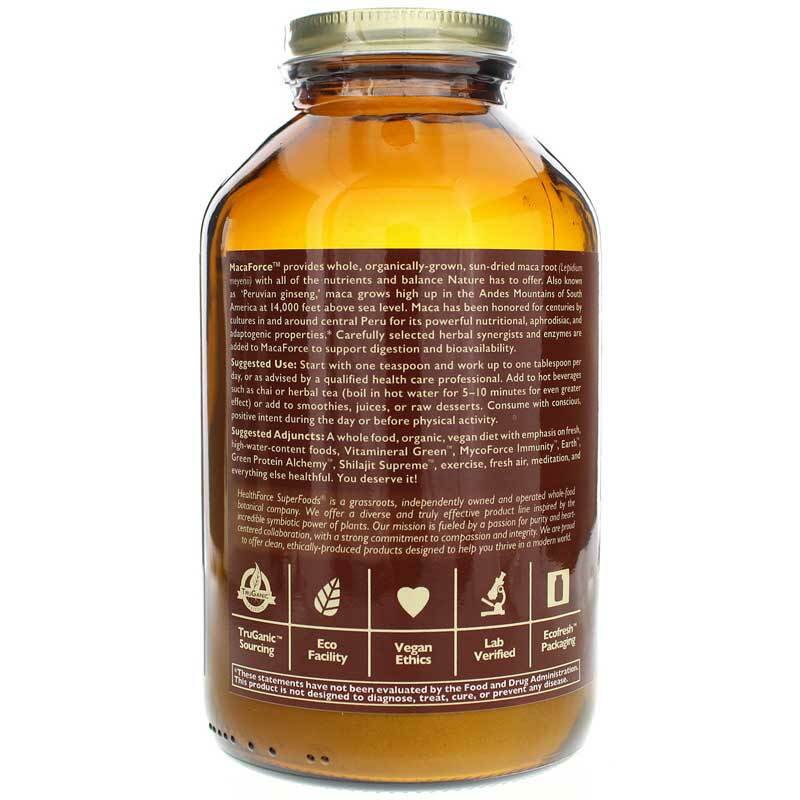 Together, these ingredients provide full-spectrum, bioavailable support to help your body make the most of maca and function at its very best. The maca in MacaForce Lucuma Spice is sun-dried at optimal temperature to preserve important compounds. This product is also 100 percent TruGanic, a quality standard that goes far beyond organic. No pesticides are used anywhere in the growing process and there are strict standards for production, cleaning and processing agents, electromagnetic radiation, air quality, additives and purity verification. This supplement is raw, vegan and gluten-free, and easy to make part of your natural routine for optimal wellness. Energize and support your body as nature intended. Order MacaForce Lucuma Spice today. A whole Food, organic, Vegan diet with emphasis on fresh, high water content, uncooked/raw foods and juices (See the book- "Uncooking with Jameth and Kim"); other nutritional support products such as Vitamineral Green and Earth, Green Protein Alchemy, Spirulina Manna or Spirulina Azteca; exercise; fresh air; things sacred to you; meditation; and everything else healthful.